2003 Max Mueller Bhawan, Calcutta. 1996 All India Fine Arts and Crafts Society (AIFACS), New Delhi. 1995 National Scholarship from Ministry of Human Resource Development, Govt of India, New Delhi. 1994 Emerald Isel Gallery, Calcutta. 1994 Academy of Fine Arts, Calcutta. 1989 West Bengal State Lalit Kala Academy, Caicutta. 1998 Max Mueller Bhavan, Calcutta. 1995 Tagore Art Gallery, Calcutta Airport. 2006,00,1999 "The Harmony Show" at Mumbai. 2006 “Kaya 0 Maya” An exhibition organized by Genesis Art Gallery, New Delhi. 2006 An exhibition organized by North Calcutta New Age Society at Academy of Fine Arts, Kolkata. 2006 An exhibition organized by Apne Aap at EZCC & Birla Academy of Art & Culture, Kolkata. 2006 “Annual Exhibition” of G C Laha Centenary Fine Art Gallery, Kolkata. 2006 “From the City of Joy” an exhibition of paintings at Museum Gallery Mumbai & Bengal Chambers of Commerce, Kolkata. 2006 “Eminent Artist of Bengal” an exhibition of paintings organized by Samaka Gallery, Kolkata. 2006 An exhibition of paintings organized by “Gargi’ at diria Academy of Art & Culture, Kolkata. 2006 “Monsoon Collection” organized by G C I aha Celenary Fine Art Gallery, Kolkatta. 2006 “Mother & Child” an exhibition of paintings and ilpture organized by Nandan Gallery at Nehru Centre, Mumbai. 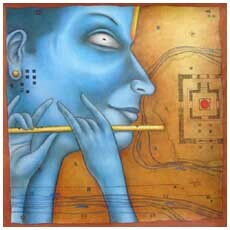 2006 “Caring for a beautiful mind” an exhibition of paintings organzed by Manes at Damayanti’s Gallery, New Delhi. 2005 “Kaya 0 Maya” An exhibition organized by Genesis Art Gallery, Kolkata. 2005 An exhibition organized by G C Laha Centenary Fine Art Gallery, Kolkata. 2005 “Imago” An exhibition organized by Art Felt Gallery at New Delhi. 2005 "Forms & Reforms" an exhibition of ARts Acre at Academy of Fine Arts, Kolkata. 2004 "Mati" an exhibiiton of Terracotta organized by Arts Acre at Azimgunge House, Kolkata. 2003 "A Journey" an exhibition orgainsed by Arts Acre at Jehangir Art Gallery, Mumbai. 2001 Exhibition organised by Arts Acre at Calcutta, Mumbai. 2000 "Between the Earth and the Sky" an exhibition organized by Apparao gallery at Chennai. 1999 "Small Format" an exhibition orgainzed by Art Today Gallery, New Delhi. 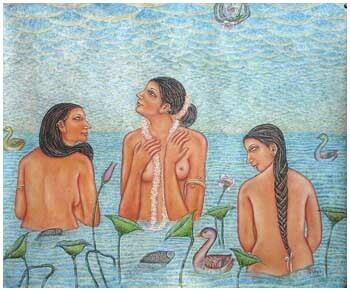 1998 "Basanta" an exhibition of Paintings and Sculptures by Gallerie-La-Mere, Calcutta. 1997 The Lake Gallerym Caluctta. 1996 Exhibition organized by Son-Et-Lumerie Gallery, Bombay. 1996 Orgainised by UP State Lalit Kala Akademi, Lucknow. 1996 Organized by Arts Acre at Jehangir Art Gallery, Mumbai. 1996,95 Annual Exhibition of AIFACS, New Delhi. 1995 Organised by Rashtriya Lalit Kala Kendra, Bhuaneshwer. 1995 "People and Face" an exhibition organised by Art Today Gallery, New Delhi. 1995 "In search of Time and Identity" organised by Arts Acre at Birla Academy of Arts & Culture, Calcutta & Rabindra Bhavan, New Delhi. 1990 “Eight painters” an exhibition organized by Arts Acre sponsored by Trade and Technology Exposition Co. (India) at Nehru Centre, Bombay. 2003 “Chobitey Chobitey Choilap” an exhibitiont Chermold Art Gallery, Kolkata. 1997 “Eight Painters” an exhibition at Rabindra Bhavan, New Delhi. 1995 ‘“Four Painters” an exhibition at AIFACS, New Delhi. 1989 ‘Tagore Art Gallery", Calcutta Airport. Birla Academy of Arts and Culture, Calcutta. GTC. Industries Limited, New Delhi. Lalit Kala Academi, New Delhi. Many private collections in India and aboard.